4chan/ck/ is always good for a few roffles. I particularly liked this Top Chef thread from last night. For dinner tonight, I’m planning to grill some steaks, make some Pillsbury biscuits, and steam some zuchinni (and make broccoli with cheese for Brett since he doesn’t like my favorite vegetable). Might get some fajita stuff (onions, skirt steak) for Sunday as well. I want to make some tiramisu, but I don’t think the local Safeway will have ladyfingers and marscapone. But we did these sopapilla-like things in the deep-fryer a few days ago and they were pretty tasty, so I might just get stuff for those. The herbs are coming along well. 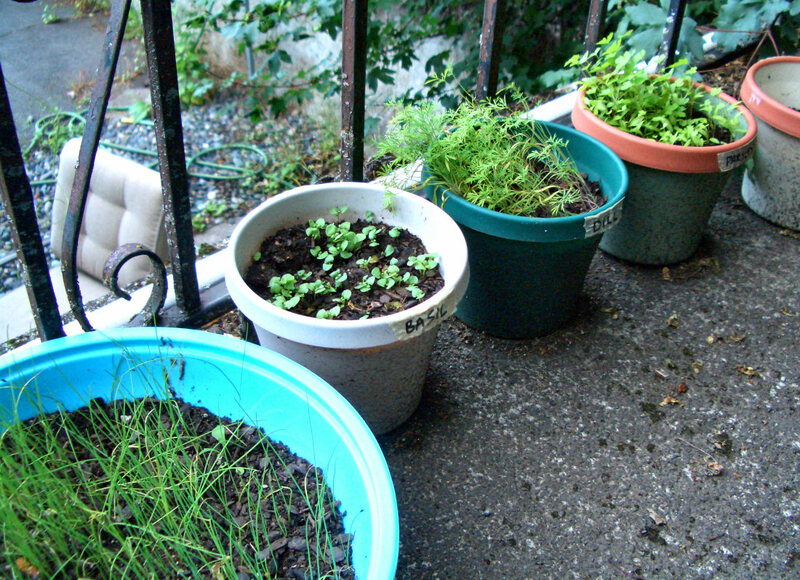 I guess they got a little dried out; we’d gotten used to not watering them since it’d been raining a lot. You can really see the progress they’ve made since the pics in #836 were taken. Not a whole lot going on this weekend. I tried playing Lunar Knights on the DS. I wasn’t impressed; it looks like a computer game from 1993. The menus are especially hideous. That’s not something I usually think about, but when they’re ugly and dated-looking you really notice. 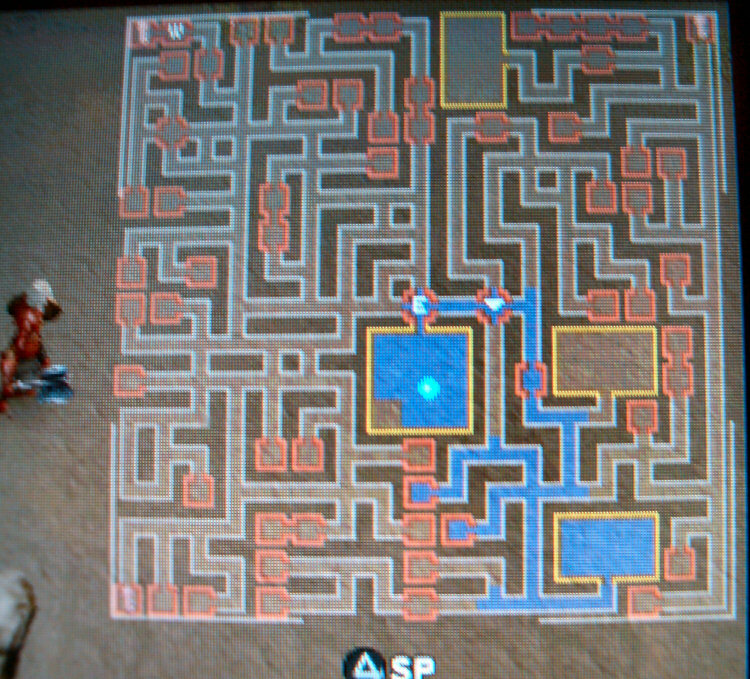 But Advance Wars continues to be awesome (I’m on Mission 16 now). I’ve got a bunch of eBay auctions to create, so I guess I can get started on those. Hummm, what else? My shirts arrived from Amazon today. Well, two of ‘em did, anyway; one color was out of stock. They’re these “Pigment-Dyed 3/4 Sleeve Raglan Tees” from District Threads. I love how they look and feel. I wish they had a Texas orange one, but olive green is almost as good. 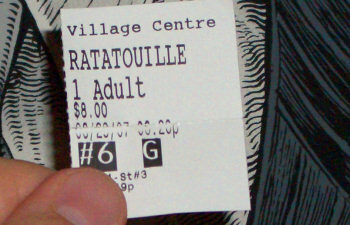 I went to the 6:20 PM showing of Ratatouille this evening. I had pretty low expectations going in; all the previews made it look kind of schlocky. (“What’s that you’re eating?” “I don’t really know, exactly…” — tired dialogue they repeated in almost every TV spot.) I noticed that at least one preview clip wasn’t even in the movie — the bit where the brown rat is saying something about how “if you can muscle your way through the gag reflex, it’s really not that bad” or something along those lines. I’ve seen them do that with other 3D-animated movies; must be some kind of signature for the studio. Anyway, despite my doubts I pressed on because the film had three things I like: Cooking, Patton Oswalt, and Pixar. But I was braced for disappointment — I kept waiting for that moment where they’d cave to Disney doctrine and shove in some insipid, half-baked jokes designed to appeal to the 8-14 demographic. Or an annoying character voiced by Larry the Cable Guy. But the letdown never came. In fact, I walked out of the theater as gung-ho about this movie as I was about Grindhouse. It’s very, very nearly as good as The Incredibles. Maybe the main thing I dreaded was that they’d wedge in some lame morals about eating right, obesity, gender roles, or some dumb thing… But they stayed away from all of that. Really, the messages are pretty progressive and, with the exception of a minor “stealing is wrong” theme, subtle. There’s some really profound stuff about criticism towards the end — must have given the reviewers pause since it had a quaint meta tenor to it. I’m still amazed at how mature the movie was. It really never dumbed itself down for kids. I think that made it a little boring for some of them, but kudos to Pixar for making something that doesn’t cater to such a, let’s face it, philistine group. All in all, a really wonderful film. I might even see it again if I can get Brett to go. BTW, have you seen this “soap” mouse device? What a great idea: A wireless mouse that doesn’t require a flat surface and doesn’t wear out your arm like those gyroscopic/inertial mice. Got a bunch of awesome stuff in the mail today. First, this letter from Carl’s Jr. thanking me for my feedback. (I sent them a short note via a form on their web site praising the excellent service I got from this lady named Mary at their Kennewick/Columbia Blvd. location a few weeks ago.) 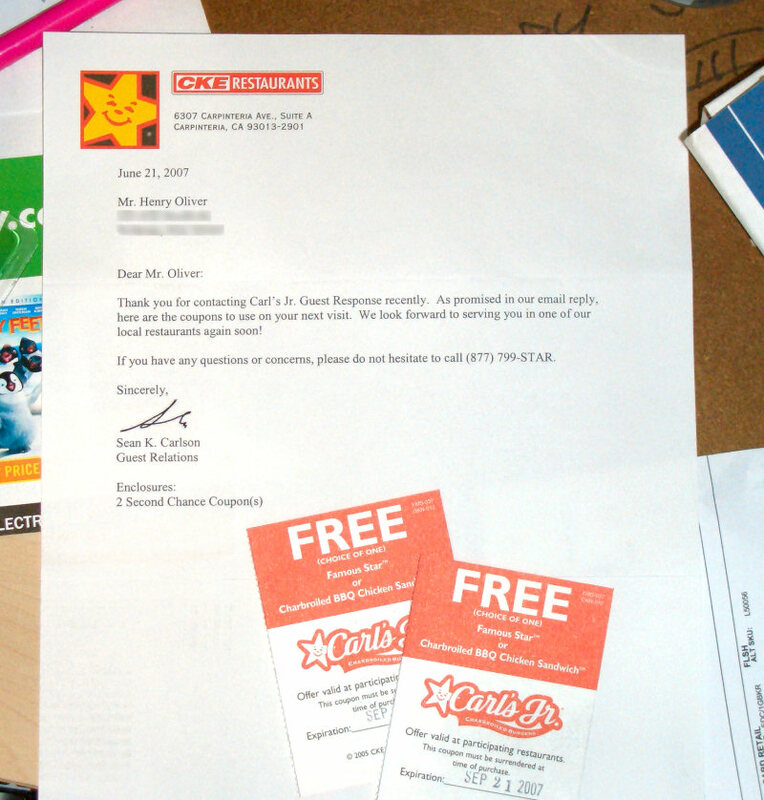 They included two coupons, each redeemable for a free Famous Star™ or Charbroiled BBQ Chicken Sandwich™. Very nice of them. 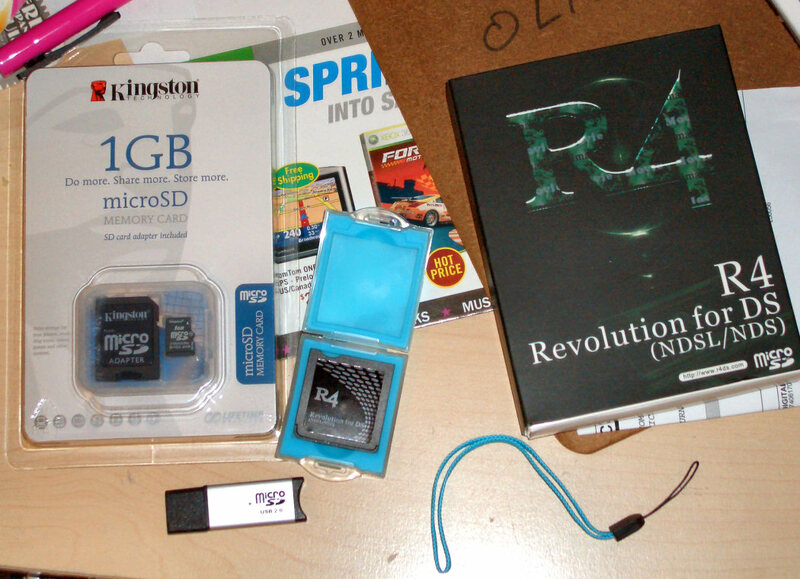 Also received today: My 1 GB Micro SD card from Buy.com. I actually got this thing for less than free, not counting shipping; it was $10.95 on their site, but using Google Checkout dropped that to 95¢. Plus Kingston was offering a $3.97 rebate for the date that I purchased it, so in the end I’ll have actually made $2.61 from the purchase (that’s including the 41¢ for the stamp to send in the rebate form). Well, not really cuz shipping was six bucks, but still, a 1 GB Micro SD for $3.39 all-said-and-done? You can’t hardly beat that. Plug Micro SD card into computer. Copy over one 700 KB file to the root directory. Stick the Micro SD card into the R4 cart and plug that into your DS. It’s literally that easy. Here’s a picture of the kit plus one of the DS screens showing the ROM loader interface. 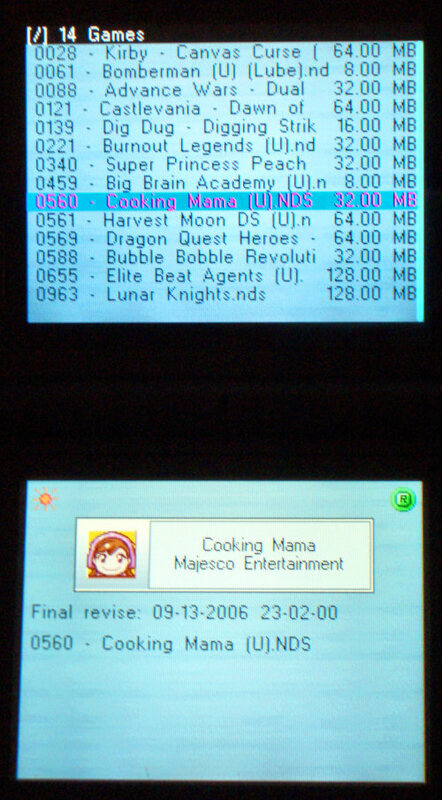 Unlike PSP ISOs, which are around 200-300 MB each, NDS games are usually only 32-64 MB in size, so you can load up a whole bunch of ‘em at once. In the picture below you can see the 14 games I threw onto mine. (And I still have like 200 MB free!) Just awesome. Big Brain Academy is much more fun than I thought it would be. And Advance Wars: Dual Strike is soooo much better on the DS than the original was on the GBA. That game really needed two screens. Micah got kicked off Top Chef last night. I didn’t like her much, but I really wish Sara had gotten canned instead. I can’t believe the other contestants tolerated her swearing at them in the kitchen over trivial stuff… I mean, if someone I barely knew–who had no more right to be there than I did–told me to “GTFO of the way” I wouldn’t just quietly obey and roll my eyes. Oh well, she’ll get hers soon enough. You know those duck/dog Disney cartoons from the 80s and 90s? (Ducktales, Darkwing Duck, Goof Troop, etc.) Isn’t it weird how they always totally bypassed the issue of race (or species, I suppose)? Literally, it’s never mentioned. But the characters are obviously aware of it; their last names usually reflect it (with the notable exception of Duckworth) and they have unwritten rules concerning acceptable attire (ducks may go pantless but dogs can’t). In some ways, you could say that these cartoons promote segregation — the cities are usually overwhelmingly duck (Duckburg) or dog (Spoonerville) and the two races never intermarry. There’s definitely a subtle message in these shows: Keep to your own kind. But these rules (laws, perhaps?) don’t apply to all races; ducks frequently pursue relationships with parrots. (Well, I think they’re parrots; they have beaks rather than bills.) Consider Fenton Crackshell (duck) and Gandra Dee (parrot) from Ducktales. Or, even better, Herb and Binkie Muddlefoot from Darkwing Duck — they’ve actually had children! Proof positive that ducks and parrots can interbreed. But despite this, parrots seem to be slightly inferior; they’re usually relegated to unimportant positions like secretary or, at best, crackpot inventor. Meanwhile, ducks are portrayed as having all the real power: They’re millionaire business tycoons (Scrooge), superheroes (GizmoDuck), or respected scientists (Ludwig von Drake). Now here’s something that’d be cool: A comic book that dealt realistically with the issue of race in the Ducktales universe. The first issue could open with a dog getting beaten in an alley by duck-supremacists. Then flash forward twenty years — he’s working at a police precinct under a duck captain with a bad temper who partners him with a dog-sympathizing parrot detective. Together they try to bring down the Scottish mafia secretly funded by Scrooge McDuck. Eh? Someone should totally write that a hundred years from now when the copyright expires. Anyway. I’m back in Pullman. Have to write yet another paper tonight for that DTC/Engl class. Man, the English department here sure is obssessed with rhetoric. I’ve heard “ethos” so many times the word has become almost meaningless to me. Argh. Alright, I’m back in Pasco, blogging from my parents’ air conditioned RV. I sleep out here when I come to visit because their cats make me sneeze and get congested if I’m in the house for too long. It’s pretty nice out here… cushy mattress, good lighting, lots of windows. I can understand why some old people live out of their RVs after retirement. 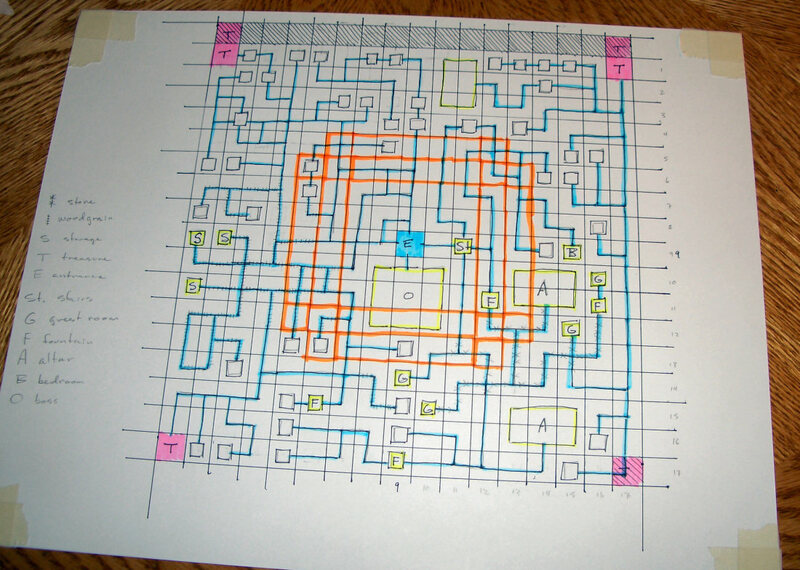 Aside from doing payroll (which was a PITA this month and involved large quantities of my special brand of Excel-Fu), I’ve been playing Dungeon Maker. I recently discovered a recipe that increases my MP stat, which prior to today had been stagnating at a pitiful 124 (which is only equivalent to, like, 12 castings of Fireball). I’ve built the room for the 2nd level boss, but I don’t want to face him until I’ve had a chance to buy some more spells and eat some more meals. It’s weird that the monsters in this game have levels but the hero doesn’t. On the way here I listened to Patton Oswalt’s new CD, Werewolves and Lollipops (thanks, OiNK!). Very, very funny. He reused at least one bit from his last CD though (the one about pushing an uncooked Cornish game hen through some gray drapes, IYKWIM), which was kind of annoying. His stuff about writing screenplays was fantastic though. I also listened to Norm Macdonald’s Ridiculous CD. It sucked. Only three of the thirteen tracks were funny. When I downloaded it, I thought the CD was all standup but only one track is like that. The rest are these ’90s-SNL-style skits. I don’t know why he does that lame stuff; his standup is great. I loved his first HBO comedy special. Oh well. Have you seen this MDI “air car”? I just heard about this today on the Clark Howard radio show. It’s a car that runs off a tank of compressed air. Apparently they’re already being used in India and Mexico City (as taxi cabs, IIRC). The stats on the thing are pretty impressive; it has a range of 125-185 miles and only needs an oil change once every 31,000 miles. It’s like an electric car, but without the expensive batteries that become less efficient over time. Okay, I’m going to bed. Gotta get up at 6:00 AM tomorrow. Holy cow, Finley’s out! Pretty major shakeup — I would’ve bet money that he’d be in the final two. But I guess anyone can forget. I’ve come very close a couple times this year myself. Thanks for competing, Finley. These summer classes are brutal. Everything’s condensed, so the assignments come at you one right after the other… I had to give an oral presentation today and now I have to write a one-page paper and present it tomorrow. Ugh. The presentations are supposed to be three minutes long, but some of these people just drone on and on and on. One guy got up there today and spent twenty-four minutes talking about absolutely nothing. The teacher was too polite to can him after ten minutes, but it was obvious he hadn’t done the assignment; he was just making stuff up on the spot. You know that feeling you get watching The Office when a character is embarrassing himself so badly, but he’s not even really aware of it? That horrible mixture of shame, revulsion, and schadenfreude that washes through you? That’s what this was like. For twenty-four minutes. Anyway, I was so nervous about my presentation that I barely slept last night. Three hours tops. So I think what I’ll do tonight is go to bed at like 8:00 PM, get up at 4:00 AM, and write my paper. Then tomorrow, immediately after class, I have to drive to Pasco to do payroll for the clinic. I’ll probably sleep there and drive back to Pullman at like 6:30 AM on Wednesday morning. Boy, that’ll be fun. Okay, gonna try to sleep. You are currently browsing the Upsidaisium.com weblog archives for June, 2007.